I said in last week's post that the first draft of a history book is a slog, researching the facts and putting them together. Thinking about it, that's not really true. After all, no one is forcing me to do this. Actually, I love it. But it is very different to my other writing. When I'm writing a poem, I'm inspired by some phrase or a thought I want to express. When I'm working on my scifi novel Flight of the Kestrel, I'm bringing my characters to life and weaving the different threads of the story. I even think editing, though very different, is creative. I described my history book as a jigsaw puzzle. 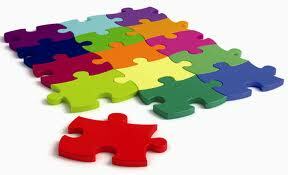 Plenty of people enjoy jigsaw puzzles, though they can be frustrating. As someone with no background in history, research can be both a joy and a frustration. I don't have any expertise to draw on, which is frustrating. The history specialists at the library are a great help, and so is Wikipedia. No - don't scoff. When you don't know anything, it's a good place to start. It gives you some basic facts that you can then check out elsewhere. A good article will cite sources, but even without, you at least get an idea what questions to ask as you continue to search. But there is one great advantage to being a novice. If I find a story fascinating, it's quite likely that others will too. I put into my book the things I've found out which grabbed my attention, and present them for the enjoyment of others. I think that's a pretty good basis for popular local history. It worked with my first book Alina, The White Lady of Oystermouth (see right), and I don't see any reason why it won't work again.